Edward Benjamin Cushing is the town's namesake. Cushing, who was born in Houston in 1863, worked for the SP Railroad at Houston, prior to serving in WWI as a Major on General John "Blackjack" Pershing's staff. He was appointed to the Teaxs A&M University board of regents in 1912 and became president in 1913. He died in Houston in 1924 and two years later the Texas A&M library was named in his honor. 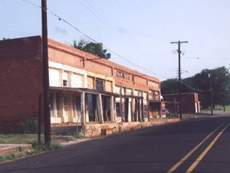 The town of Cushing was founded in 1902, with the announcement that the Texas and New Orleans Railroad would soon be building through the area. A post office opened that same year and the town was platted in 1903. The railroad arrived a year later and Cushing developed as a major shipping center for lumber. In 1914 Cushing had a respectible population of 600 people a bank, newspaper and hotel. In 1925 the population peaked at 1,500 but declined with the deforestation of East Texas. For the 1950 census there were 473 reported residents - a figure close to the current 465. 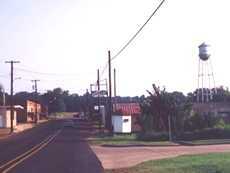 Anyone wishing to share stories or photos of Cushing, Texas, please contact us.